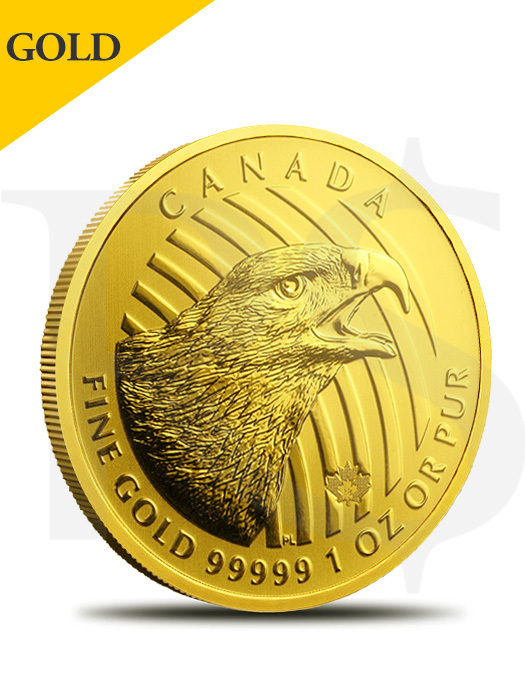 This 2018 Canada Call of the Wild - Golden Eagle 1 oz. 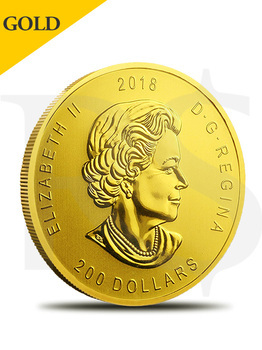 Gold $200 Coin is ready for inclusion in your collection in stunning GEM Brilliant Uncirculated condition. It ships in the Original Royal Canadian Mint Capsule. Building on the success of their popular Call of the Wild series, The Royal Canadian Mint added this issue to the set due to popular demand. It weighs a full 1 oz. 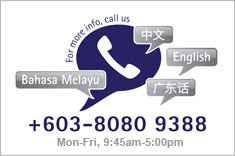 and is comprised of .99999 pure gold. Pierre Leduc, the well-known and enormously talented Canadian wildlife artist served as designer for the obverse image of a Golden Eagle shrieking. The detailed work gives an almost lifelike appearance due to the surface variation on the feathers, eye, beak and the background of the coin. The obverse image is the standard Susanna Blunt designed RCM effigy of Queen Elizabeth II. Reverse: Features a portrait of a Golden Eagle with gleaming feathers and open beak ready to catch its prey.